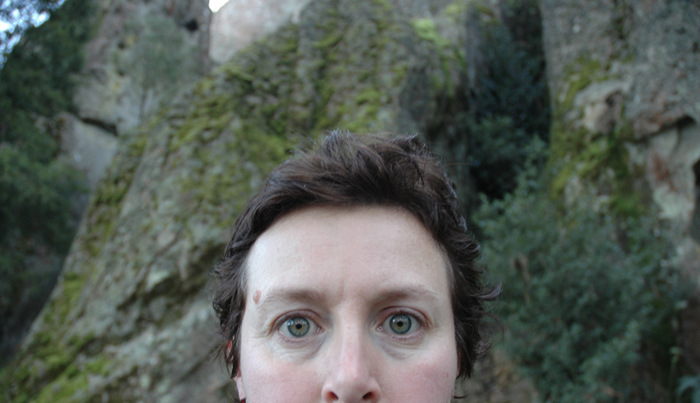 Louise K Wilson is a visual artist who makes installations, soundworks and videos. She has exhibited widely in North America and Europe. Recent exhibitions include Submerged: Silent Service (Ohrenoch, Berlin, 2015); Duet for One:Intangible Culture (Ohrenhoch, Berlin, 2014); Dukes Wood, Nottingham (2013); Topophobia (Danielle Arnaud Gallery, London; Bluecoat Gallery, Liverpool and Spacex Gallery, Exeter, 2012); SOUNDWORKS (ICA, London, 2012); Re-sounding Falkland on the Falkland Estate (Scotland 2010, made with David Chapman), I Hear Too: Live (York Minster 2009), Composure (Impressions Gallery, Bradford 2008), Post-Cinema (RMIT Project Space, Melbourne 2007); Sonic Arts Network Expo (Plymouth 2007) and the International Film Festival Rotterdam (2006). In 2006 she was awarded a NESTA Fellowship. Her published writing includes an interview with Paul Virilio (CTHEORY, 1994); a commissioned essay for 'Private Views: Artists Working Today' (Serpents Tail, 2004); artist pages for 'Zero Gravity - A Cultural Users Guide' (Arts Catalyst, Cornerhouse books 2005), and book chapters for 'In the Ruins of the Cold War Bunker: Affect, Materiality and Meaning Making' (Rowman & Littlefield International, 2017); 'Contemporary Archaeologies: Excavating Now' (Peter Lang, 2009) and 'A Fearsome Heritage: Diverse Legacies of the Cold War' (Left Coast Press, 2007). She is a lecturer in Art and Design at the University of Leeds and attained her Doctorate from the University of Derby. She lives in West Yorkshire.